Many Guests over the past 31 years have enjoyed a trip to Young’s in December to choose and cut their Christmas tree from Carl & Dorothy’s Christmas Tree Farm. 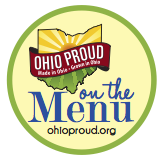 This farm is located just south of the red barn at Young’s, and is actually in Greene County (Young’s is in Clark County – even though we have a Yellow Springs address!). Carl & Dorothy Young’s Christmas Tree farm officially opens the day after Thanksgiving and is open daily to about the weekend before Christmas. 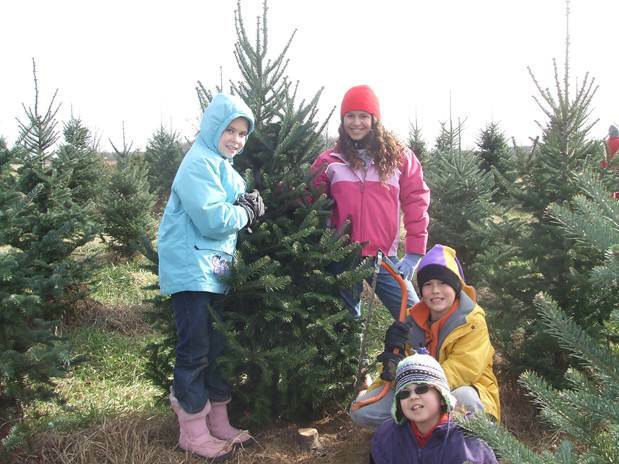 Families have made a tradition of coming to the Christmas tree farm to find their perfect tree, cut it, get it shaken and tied down on their car – then stop by Young’s for a meal or an ice cream or bakery treat. The Christmas tree farm is not an official part of Young’s Jersey Dairy – but it is part of the family! We enjoy taking care of Guests before and after their trip to the field to choose from over 27,000 trees of many varieties. More information can be found at http://youngschristmastreefarm.com.